Dr. Kate Brayman offers Invisalign for New York City patients who need to straighten teeth, yet want to maintain a beautiful, brace-free smile. Contact Kate Brayman DDS, in New York City when you or your child have crowded, crooked teeth or need treatment for an overbite or underbite. Invisalign gently and gradually shifts teeth into place using invisible aligner trays. Invisalign straightens teeth, adjusts spacing between teeth, and treats bite problems without needing a mouth full of metal braces. While Invisalign makes the same adjustments as braces, it’s made from a plastic aligner that’s invisible. As a result, your smile doesn’t suffer while teeth are fixed. The plastic aligner fits over your teeth and is smooth, so it’s comfortable to wear all the time. It’s snug enough to stay in your mouth, yet easy to take in and out. The Invisalign aligner allows you to eat any foods because they won’t get stuck in metal braces. 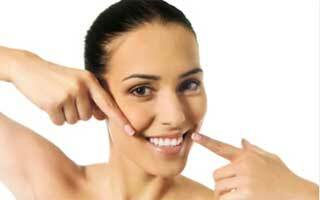 More importantly, you can easily brush and floss your teeth by temporarily removing the aligner. 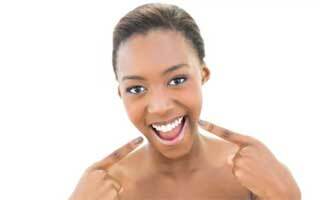 How does Invisalign work for New York City patients? After Dr. Brayman takes an impression of your teeth and creates a 3D model of your mouth, she maps out a precise treatment plan. She’ll define how to adjust the position of each tooth and determine how long the treatment will take. Then her plan and the model are sent to Invisalign technicians. They develop a series of aligners that are tailored to your mouth and the adjustments needed. Each aligner in the series is formed to progressively adjust your teeth. You’ll wear the first aligner for 1-2 weeks, then replace it with the second aligner, which is worn for another 1-2 weeks. The second aligner is replaced with the third, and the process continues until you go through all the aligners. Each aligner is slightly different, designed to place gentle pressure so that teeth move, using a stepwise process to achieve the final result. Do you need follow-up visits with Dr. Brayman? Yes, you’ll need to follow up with Dr. Brayman on a regular schedule. She needs to make sure treatment is going as planned, so she’ll track your progress and verify your teeth are moving into the proper place. The frequency of your follow-up appointments depends on your treatment plan and whether you change aligners weekly or every two weeks. For invisalign to be successful, you’ll need to be dedicated to wearing the aligner all the time — at least 20-22 hours daily — until treatment is finished. When you take it out to brush, you’ll need to remember to put it back in, because if you forget to put the aligner back in your mouth sometimes, you won’t get the expected results. Invisalign treatment usually takes about 12 months, but the doctor will give you details about length of treatment and checkups after she develops the treatment plan. Dr. Kate Brayman is a Preferred Provider of Invisalign Orthodontics, so you can be sure her expertise delivers the results you desire.